If you need more hands on toys, this would be a fun idea. Amazon has the Learning Resources Gears! 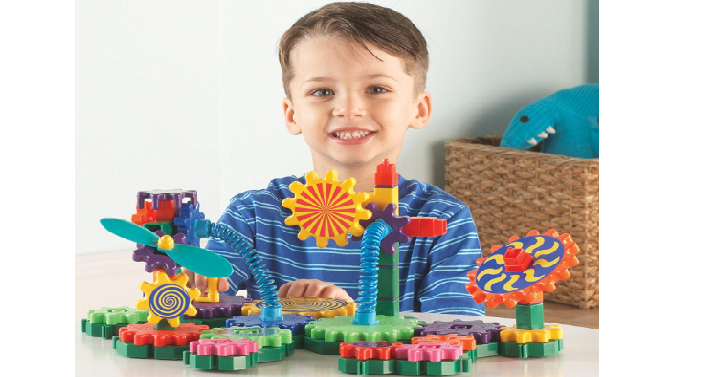 Gizmos Building Set 83 Pieces for only $11.61! (Reg. $40) This is a #1 New release with great reviews. This Gears set includes colorful small, medium and large gears, base plates, various connectors, pillars, 6-way axels, crown gear, peg adapters, propeller, crank, and sticker sheet. Keep in mind, Amazon pricing can change at any time! Don’t wait to purchase this deal or it might be gone when you come back!